On the edge of Cantal and Lot, the domain “La Plage du Garoustel” is perfectly located on the dam of Saint Etienne-Cantalès's lake whose water filling created one of the most beautiful artificial lake of France. We found the lack of disposal for chemical toilet strange, but we were directed to the camper van service point on the edge of the town. this however did not cause a problem. After a few days at the site we were not only the only British around but the only non French. therefore this was the best few days ever of total immersion of speaking French, Hard work but rewarding. We enjoyed the views and the walks from the campsites. I also became fit with the walk up to our pitch from the bar. Some of the local towns were amazing for their architecture and the fact that they were not commercial. The staff were all very friendly and helpful and were very patient with my poor attempts at communication. We liked the No parking on the pitches. No. but we were pleased that we were near to the water supply. Nice size pitch, We loved the no car rule. wonderful for the children for playing. Closing of the camping gates after midnight. People talking highly during the night. Atmosphere in the nature. General cleanliness of the mobile house. Absence of the mosquito net. Hot water is not working well. Guest room is too small compared to the main room. Le Lac et tout l'environement, la Roquebrou et son chateau, les vaches salers, roure centre region!! Calme et tranquillité. Semaine reposante marche, paddle. 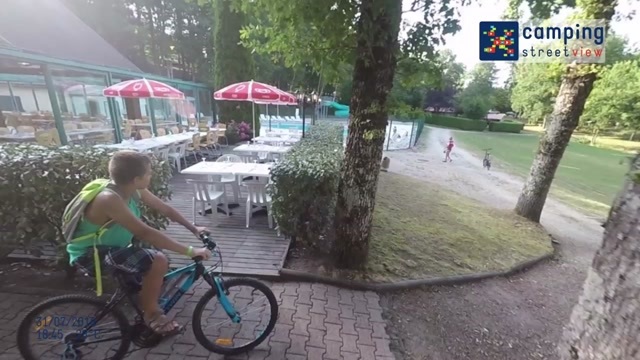 Camping trés propre, ombragé accés direct au lac. Village dans les environs proche. Vraiment reposant. nous avons prévu de revenir. Assez d'espace pour nous quatre. Trés propre. Douche de bonne taille (je fais deux métres...) Rien à redire! Ambiance sympa Camping propre et bien tenu, au bord du lac. L'accueil,le personnel est super sympa nous nous sentons très vite chez nous Le paradis pour les enfants car l'endroit et bien sécurisé Cela fait la 2 ème année que nous revenons ,Je recommande vivement pour se reposer .